Know anyone planning a Wedding? Come visit us at our first Bridal Show! 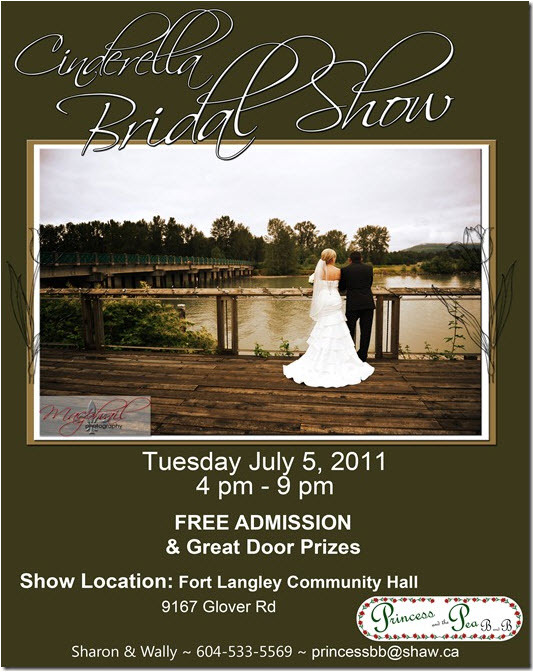 The Cinderella Bridal Show in Fort Langley, Tuesday July 5 from 4-9pm.